Florida Keys Hempvine is a member of the Aster family.This plant was photographed at Historic Blakeley State Park, in Baldwin County, Alabama, in late September. 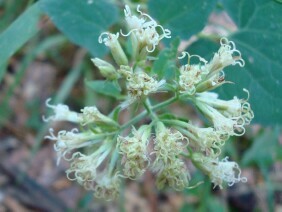 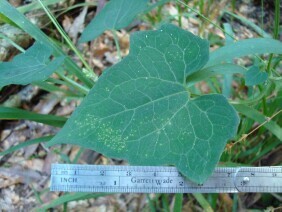 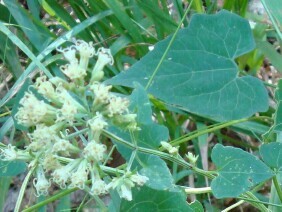 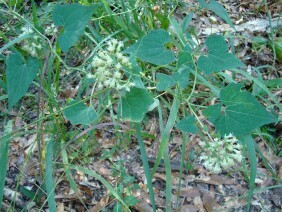 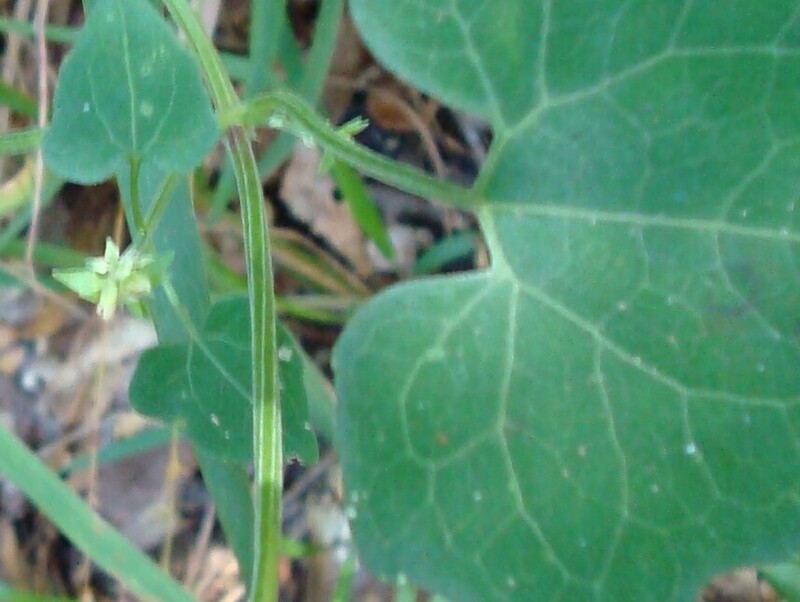 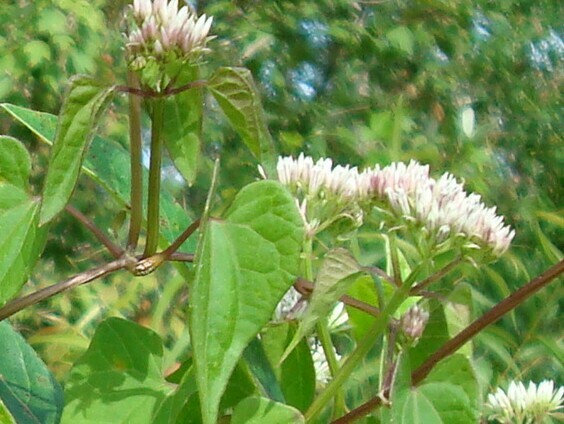 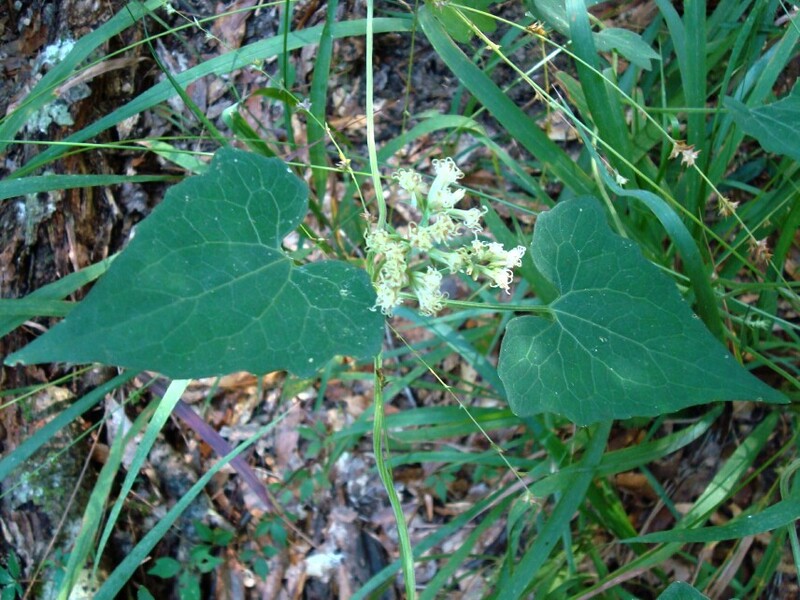 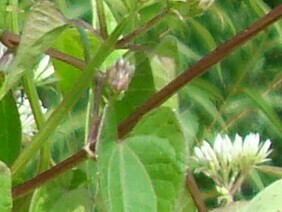 Compare it to the very simular Climbing Hempweed (Mikania scandens). 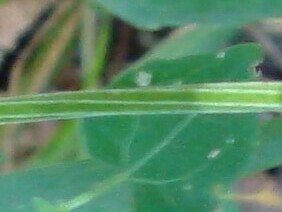 Note that the stems of Climbing Hempweed are rounded and somewhat reddish. 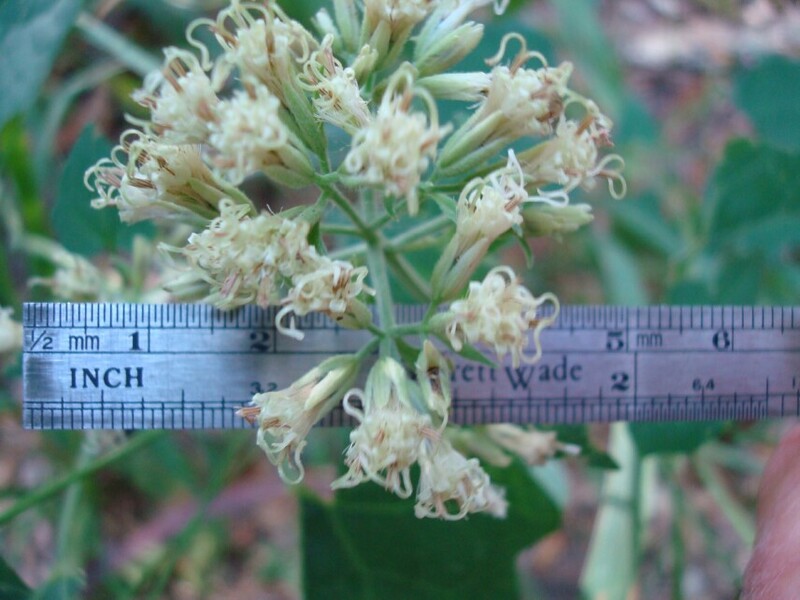 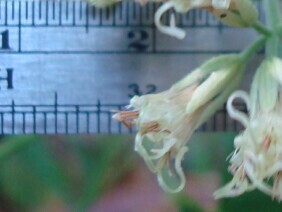 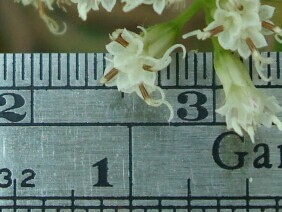 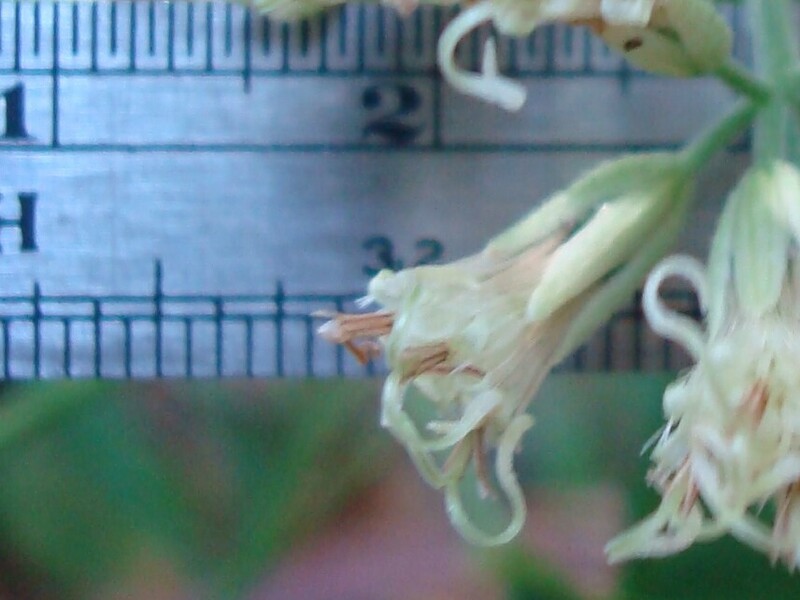 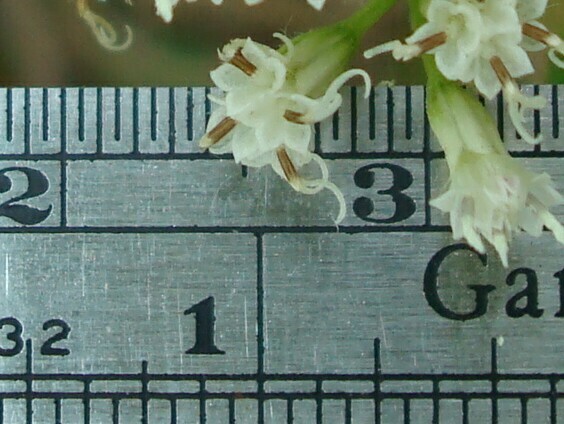 The stems of Florida Keys Hempvine are clearly six sided, and the flower heads are somewhat larger. 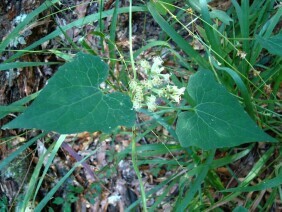 The leaves of Climbing Hempweed are slightly paler, with perhaps a touch of yellow.